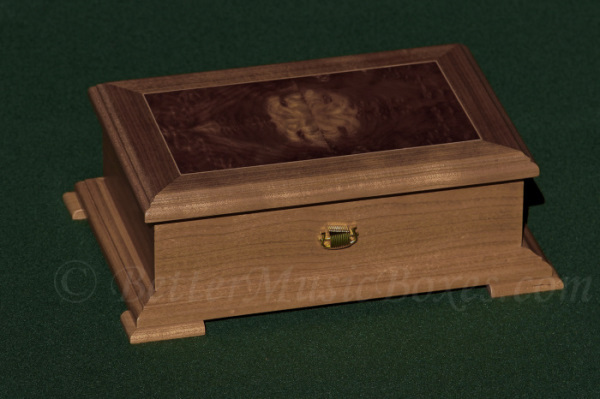 To the best of our knowledge, our music boxes sound substantially better than comparably sized music boxes from competitors. Our Founder’s deep love for great sounding music boxes has been the driving force for this. 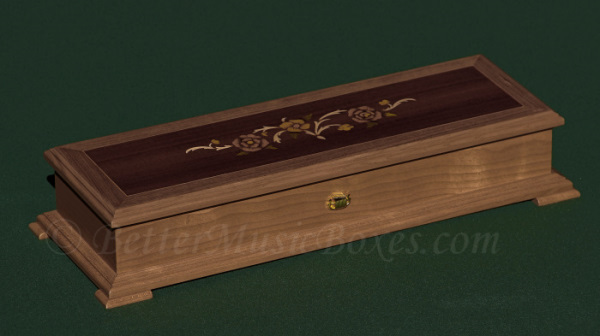 Unfortunately, we have had to politely show many music box vendors to the door due to poorly resounding music boxes, and these included Inlaid Sorrento Boxes. After all, we think music boxes are all about music. Don’t you think so too? You see, a music box is a Musical Instrument. The wooden box performs the same function as the body of a guitar or violin, in converting vibration into beautiful music. For many years we’ve been experimenting with the complexities of Music Box Resonation. We have designed every box you see here, controlling the quality and the resonation. Our movements also go through our own Bell-Like Tuning in-house, to improve the sound quality. We received your music box yesterday and listened to them both today. But before I comment on the sound, I do want to say that we were very pleased with the box itself. 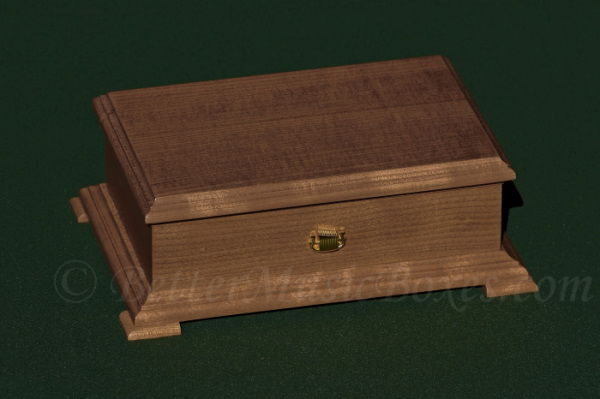 It was obviously solid wood, and in opening the box, we could see how the corners were joined and how the overall make of the box was obviously superior. Your "maintenance" guide was very helpful in caring for the box and the mechanism. We especially enjoyed the comment about having it serviced by a clock maker at least once a DECADE ! Sound was more "crisp," "bright" Sound appeared to have some additional "bell" tones somehow added. My wife says more "melodic." Sound itself was more "vibrant." These are all positive qualities. There were no negatives. The box from [your competitor] - we know the box was far inferior, and the only comparison relative to sound was that is was "softer." but acceptable. But it was not as "vibrant" as yours. I think "vibrant" is one of our best descriptive words to describe the sound of your box. Bigger and more majestic than a grandfather clock, this Music Box is an echo of the past; but with a real, resounding emphasis on the present. One of only four being made today, it stands about 8 ½ feet tall and is an exquisite music box by any standard. *Price is an estimate, price could fluctuate up or down depending on the exchange rate at the time and our supplier's current selling price. Please contact us for a current price, serious inquiries only.